Art historian and critic Sven Lütticken sketches how concepts such as transparency and opacity, openness and secrecy are being used by artists in increasingly subtle ways. They are particularly interested in the question of how we can make ourselves ‘visible as something other (either more or less) than the kind of subject to which we tend to be reduced’. We live in the age of open secrets. More than anything else, WikiLeaks has shown the relative weakness, in today’s global empire, of the essential Enlightenment act that is the revealing of hidden secrets. Such revelations may endanger American or European troops in Afghanistan, but in Europe and the usa their effects seem limited, as there is plenty of online outrage, but little in the way of political effects – and WikiLeaks has itself come under attack for its ‘lack of transparency’. Perhaps it is one of the ‘zones of opacity’ that the Invisible Committee deems necessary.1 According to this logic, a prying police state that wants to turn its subjects into see-through citizens has to be countered with opacity even while the state’s own zones of opacity are relentlessly critiqued. After all, is this ‘transparent’, ‘democratic’ system not a de facto conspiracy in the service of the happy few? But the strategies of radical groups and their corporate antagonists mirror each other: Julian Assange approved of the News of the World hacking people’s phones, even while bemoaning that these practices did not go far enough. 2 He did not pause to question the complete perversion of the ideology of transparency in the hands of Rupert Murdoch and his goons. 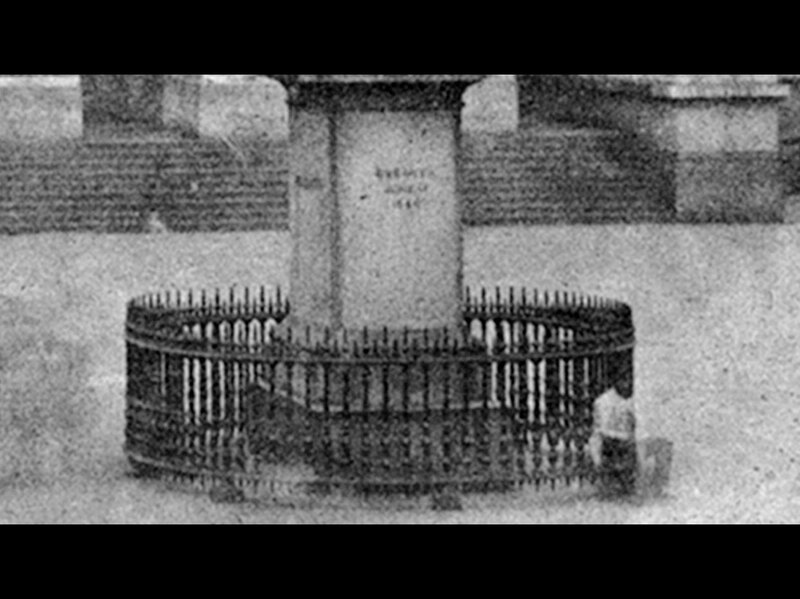 It is a recurring feature of modernity that attacks on an opaque system that functions as a de facto conspiracy themselves take on a conspiratorial character – from the Enlightenment (Masonic lodges) via anarchist cells and Georges Bataille’s Acéphale and various groups of the 1970s to, precisely, the Invisible Committee and WikiLeaks.3 Such oppositional forces produce strange blends of opacity and transparency – opaque transparency and transparent opacity – that mirror the state of affairs they oppose. Thus rather than with a static opposition between hiding and uncovering, we are dealing with a dazzling dialectic. More than ever, it is futile to side with either opacity or transparency as such. Rather than turning openness into a cult or promoting the cult of secrecy for its own sake, the aim should be to examine the collusion between the two poles so as to develop strategies for prying open the cracks in the apparently seamless surface of opaque transparency – to exacerbate the latent contradictions and turn them into overt antinomies. Some modern artists went very far in their mimetic appropriation of technocratic rationality. This is true in particular of some movements in European art around the 1960s, including Zero in Germany and the Dutch Nul group. A fetish in these circles was the notion of structure, praised by Jan Schoonhoven in terms that barely disguise their Platonism: ‘Structure gives line and form substance. Structure is reality. Structure determines the effects of light.’8 Structural transparency also suggested a social analogy: transparent, non-hierarchical art for a modern and rational society.9 This analogy broke down in the late 1960s, with Sol LeWitt’s emphasis on the irrational nature of grid structures, and with Hans Haacke’s investigation of (social) systems. In the late 1960s, Haacke moved from investigating ‘natural systems’ (as in his pieces dealing with wind or condensation) to ‘social systems’.12 Haacke started presenting visitor polls as works of art in 1969 with his Gallery-Goers’ Birthplace and Residence profile at the Howard Wise Gallery, the viewers becoming cybernetic performers by answering questions. Polls and profiles would go on to become ever more prominent in the economy, up to today’s online profiles. Neither a technocratic affirmation nor an abstract rejection, Haacke’s pieces attempt to play the system, to intervene in it through strategic mimicry. In the 1970 ‘Information’ show at New York’s Museum of Modern Art, which was shaped by cybernetics, Haacke presented a poll with one political question, on New York Governor Nelson Rockefeller’s stance on Vietnam. That Rockefeller was also a MoMA trustee was not stated, but for those in the know it served to underscore the interrelations between the art world and other social systems.13 For Burnham’s ‘Software’ show at the Jewish Museum, also in 1970, Haacke planned a computer version of the visitor poll, allowing for a more complex series of questions that he developed in the form of flow chart diagrams. 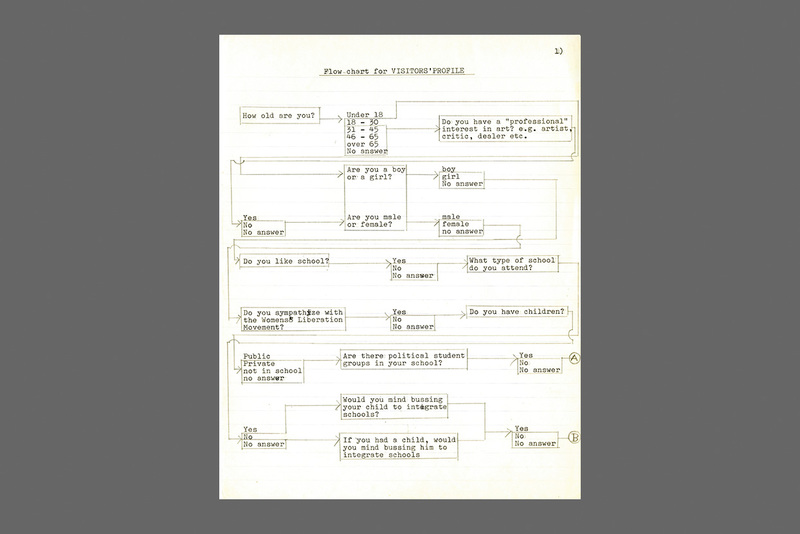 Due to technical difficulties, this version was not realized.14 Haacke’s surviving flow charts, with their mixture of personal and general political questions, are not so much about making ‘the system’ transparent as they are about our implication in it, and the effect of our specific situations on our perceptions and preconceptions. 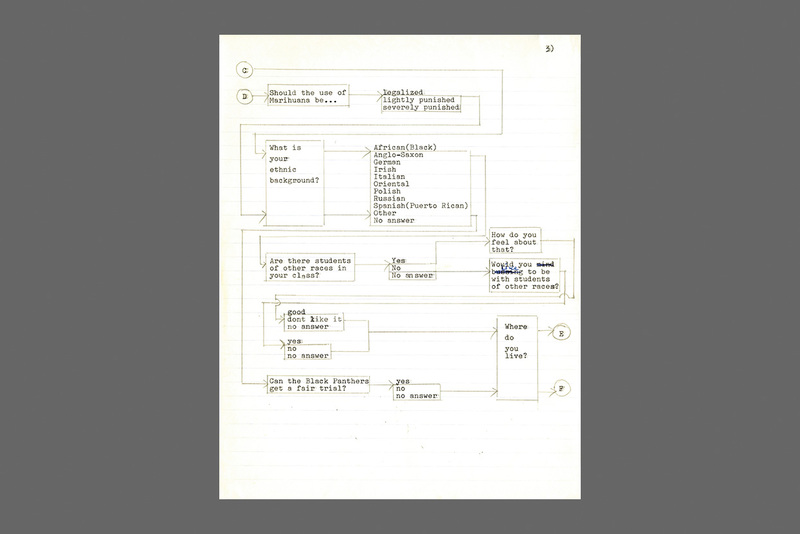 Hans Haacke, flow chart (one of four sheets) for unrealized version of Visitors’ Profile conceived for Jack Burnham’s Software (1970). 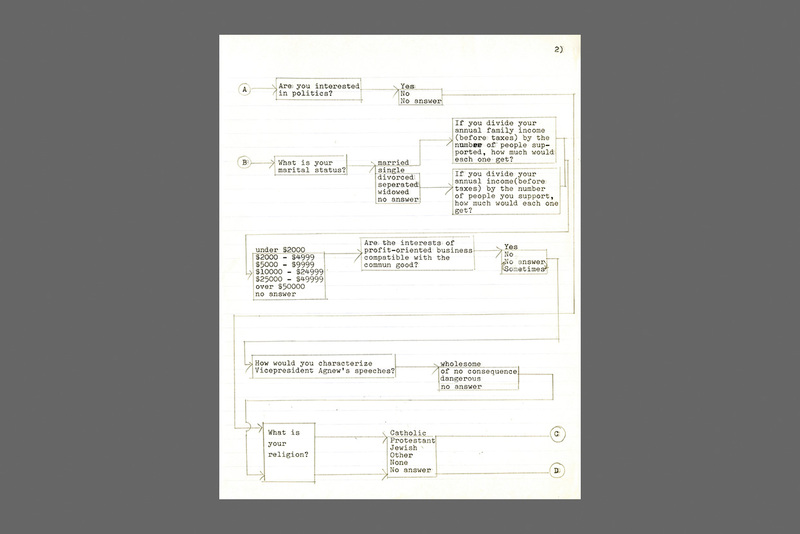 Hans Haacke, flow chart (two of four sheets) for unrealized version of Visitors’ Profile conceived for Jack Burnham’s Software (1970). The issue of the (im)mobility of persons in turn has its counterparts among objects. 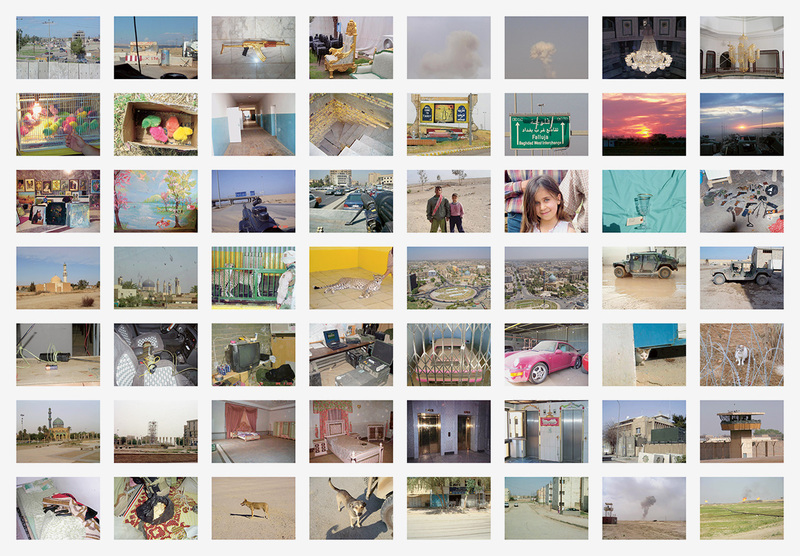 In works from 2003 to 2005 such as the film Casio, Seiko, Sheraton, Toyota, Mars, the photo archive Untitled (Archive Iraq) and the photo / text piece The Site, Sean Snyder has charted trajectories of a different nature than Raad’s cia flights, though these trajectories are equally part and parcel of the ‘War on Terror’ – which in Snyder’s work becomes a series of appearances of Casio watches, Toyotas, Coke cans and Mars bars in the war theatre of the Middle East. Here the War on Terror is not about any great ideals but about access to and the deployment of commodities – products that in Snyder’s work serve as symptomatic indicators of the real interests at stake. However, their visibility is in turn oddly opaque, and they seem to be playing games with us – like the whimsical Mars bars and Spam cans that appear to move around in various images and descriptions of Saddam Hussein’s underground hideout. Is their presence just another convenient ‘public exposure’? 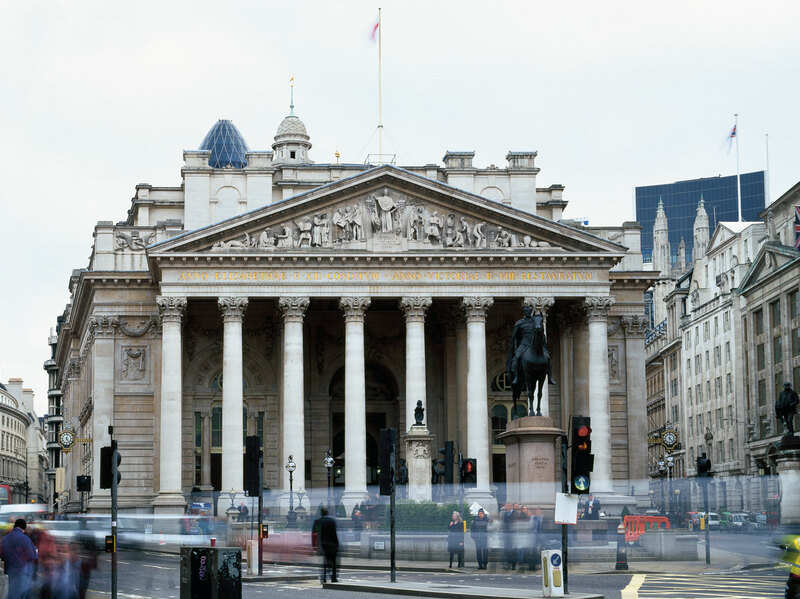 But what about the invisible obverse of these commodities’ alluring surfaces? 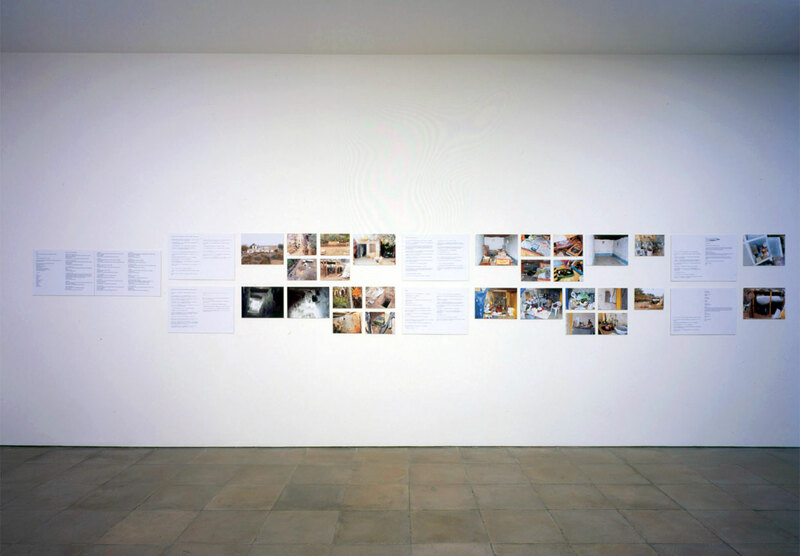 The practice inaugurated by artist Kobe Matthys in 1992 under the generic name of Agency paralleled Snyder’s in that it took a decisive step beyond commodity art – in the process reactivating aspects of the art of the late 1960s and early 1970s, such as Conceptual Art’s focus on protocols and contracts. Agency collects ‘Things’ whose status has been contested in lawsuits over intellectual property rights; it ‘convenes’ these Things in the form of ‘assemblies’ (exhibitions or events) that allow for an investigation of these cases. Agency’s Things range from a tv recording of a trained elephant to computer-generated bingo numbers, an ‘Uncle Sam’ bank, children’s costumes and various books, records and films. In all these cases, the main question is whether we are dealing with ‘original works’ that can be copyrighted, raising questions on subjecthood and authorship. Can a trained elephant’s behaviour be copyrighted by its trainer? Can a book said to have been dictated by spirits to a medium be subject to copyright? Can computer-generated bingo numbers? 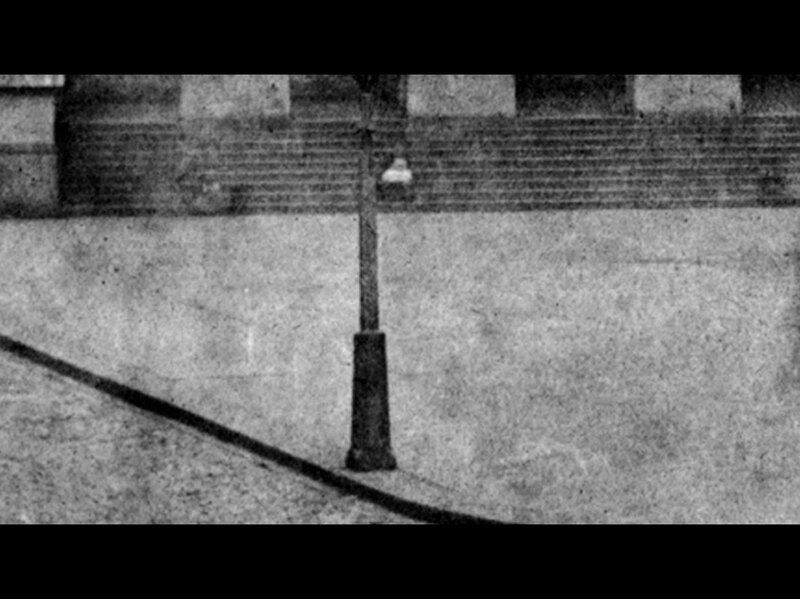 Two of Agency’s Things are based on the famous magic trick of The Woman Sawn in Half, which Horace Goldin sought to protect both in copyright law and in patent law in the early 1920s.18 When a film company released a short subject purporting to show how the trick was done, Goldin sued, and lost (Thing 000809). Much later, in the 1930s, he sued again when Camel Cigarettes published an ad in their series ‘It’s fun to be fooled . . . It’s more fun to know’, which also purported to reveal the truth (Thing 000842). He lost again, in part because of his own patent, which qualified as public information: at least in theory, the secret was already out. What is interesting about these Things in particular is that they almost seem to allegorize the commodity and its magical promise of shiny and eternal newness – which we know full well hides programmed obsolescence. The lady sawn in half and reconstituted is the hollow promise of any product: the reversal of entropy. Hito Steyerl’s recent film In Free Fall (2010) focuses on the ‘lives’ of Boeing airplanes that vegetate on a junkyard in the Mojave Desert, investigating their biographies from Howard Hughes and the Israeli air force to being recycled as dvds. Depending on market fluctuations, planes may be used for movie productions or be sold to China for their scrap metal. In Free Fall does not fetishize the social relations between things. Both object and subject – or thing and person – act and are acted upon in a bewilderingly complex political economy. Steyerl’s cameraman, for instance, lost a significant amount of work in Hollywood because of the crash of the dvd market due to online streaming and file sharing. While it might seem that with In Free Fall, Steyerl ‘has turned from the essayistic subject to the essayistic object’, it may be more precise to say that the film focuses on objects as having a certain derivative and secondary agency that affects lives.22 It is by making such connections that Steyerl’s film intervenes in an economic system that instrumentalizes transparency and opacity, openness and secrecy, with equal ease. Visibility does not equal transparency: complete transparency, after all, would pose no obstacle to light and hence produce no image. One might say that any image is the product of a particular admixture of opacity and transparency. Images have a tendency to be used as allegorical emblems, and this is particularly true of images of (relative) transparency. Think of Berlin’s renovated Reichstag building, which now houses the Bundestag: while the use of mirrors and glass in de plenary chamber under the central dome can be somewhat dizzying, the bright space is usually presented as embodying an open and transparent democracy. 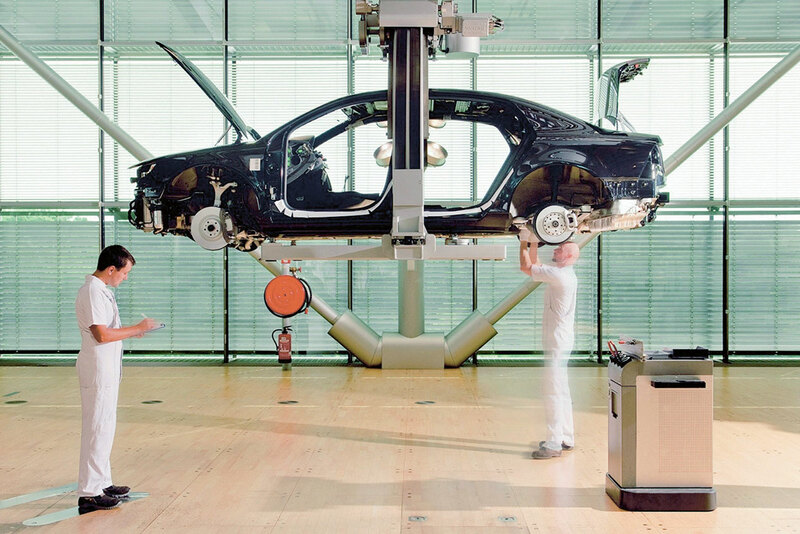 Think of Volkswagen’s ‘Transparent Factory’ in Dresden, in which we are shown how cars are assembled by robots, as if by magic, while we do not get to see the actual production of the individual parts and the financial and political wheeling and dealing. Volkswagen’s so-called ‘Transparent Factory’ (‘Gläserne Manufaktur’) in Dresden. 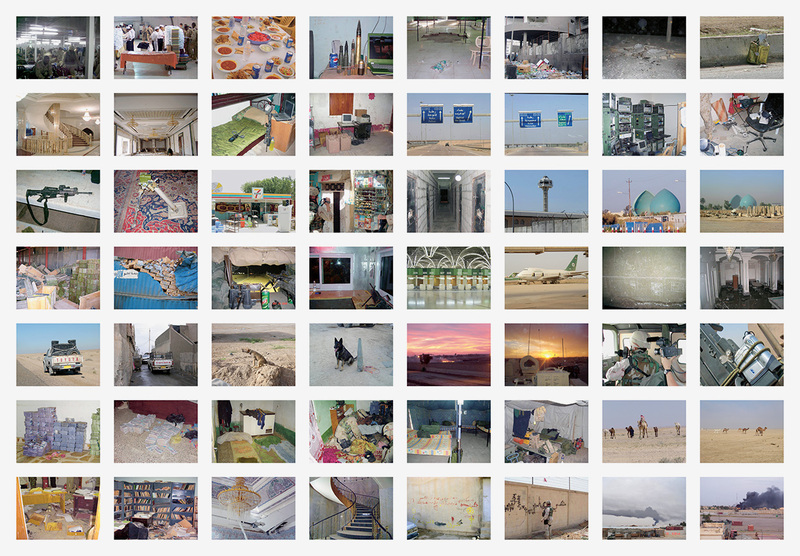 Zachary Formwalt, stills from In the Place of Capital, 2009. HD-video, 24'30". Such scenes, such symptomatic ‘assemblies’, show abstract capital taking on visible form, congealing into thingness. This is not some abstract gesture of revelation, but a symptomatic manifestation of tensions within the system, which takes the form of specific constellations – improvised structures – emerging in the visual plane. If, in this case, this is the result of unplanned collective action (a kind of swarm-like activity), there are also possibilities for more strategic interventions that upset the dominant regime of (in)visibility, its particular collusion of opacity and transparency. Again, such interventions have to be precise and begin at home, so to speak. They have to show our implication in something that is more concrete than a / the system – in social structures or networks that implicate us. How do we intervene in such sub-systemic constellations in ways that make us visible as something other (either more or less) than the kind of subject to which we tend to be reduced? In 2011, a number of artists announced a boycott of the Guggenheim Museum if the abysmal treatment of workers on the construction site of the Guggenheim Abu Dhabi – the latest outlet of the McGuggenheim franchise – continued. Walid Raad was one of the boycott’s initiators, and Hans Haacke supported the campaign.25 Guggenheims in New York, in Bilbao, in Abu Dhabi: a system of architectural objects serving the circulation of other (art) objects that thereby maintain or increase their value. Artists, critics and curators are supposed to play their part. But what if these labourers, these sub-subjects, were placed on the agenda as stubborn and opaque persons, rather than as purely abstract labour power? This political protest created a different kind of visibility by complicating the official image (of, in this case, the Guggenheim). Though this protest was not a work of art per se, in this sense it was most certainly a form of aesthetic praxis. 1. Comité Invisible, L’Insurrection qui vient (Paris: La Fabrique, 2007), 97. 2. See this interview from 2009: www.barefootintocyberspace.com. 3. On the late eighteenth and early nineteenth centuries, see J.M. Roberts, The Mythology of the Secret Societies (London: Watkins, 2008). See also the essays ‘Secret Publicity’ and ‘The conspiracy of Publicness’ in Sven Lütticken, Secret Publicity: Essays on Contemporary Art, (Rotterdam: NAi Publishers, 2006). 4. My earlier formulation of art as a ‘mute form of political economy’ does not imply that art is doomed only to reflect impotently, which is how Nikos Papastergiadis seems to take it in ‘Aesthetics and Politics in the Age of Ambient Spectacles’ (Contemporary Art and Culture Broadsheet 39, no. 1 (2010), 33–39). It is mute in so far as it falls short of all discursive conventions and of academic standards; this is also its potential strength. It is a form of praxis that can intervene in and rearticulate the regime of the (in)visible. At the same time, I remain doggedly convinced that one needs to go beyond grandiloquent claims for the potentiality of aesthetic practice, and confront the antinomies that both enable and – at times – cripple it. 5. Theodor W. Adorno, Ästhetische Theorie (Frankfurt am Main: Suhrkamp, 1970), 90–91. 8. A 1959 statement by Schoonhoven quoted in Janneke Wesseling, Alles was mooi: een geschiedenis van de Nul-beweging (Amsterdam: Meulenhoff / Landshoff, 1989), 53. 9. ‘Geen hiërarchie, we kozen voor ordening, heel objectief.’ (‘No hierarchy: we opted for arrangement, very objectively.’) Schoonhoven, from a 1979 interview, quoted in: Ibid., 50. 10. ‘Though a high correlation between visual and structural logic may exist in engineering, surprisingly little attempt has been made to establish such a logic in sculpture – and when an attempt has been made, it has usually been a pseudo-attempt, rather than one which is strictly consistent with the properties of the materials. Engineering in sculpture – with very few exceptions – has been a matter of visual assimilation, not function.’ Jack Burnham, Beyond Modern Sculpture: The Effects of Science and Technology on the Sculpture of This Century (New York: George Braziller, 1968), 155. 12. See also Marga Bijvoet, Art as Inquiry, Part II, Chapter 4, www.stichting-mai.de. 13. Julia Bryan-Wilson, Art Workers: Radical Practice in the Vietnam Era (Berkeley / Los Angeles: University of California Press, 2009), 190–193. 14. ‘According to my memory, the people from MIT who were meant to do the computer programming for it were either overextended due to their work on other projects in the show or were not able to do it.’ Quote from an email by Hans Haacke, 28 April 2011. 15. Manet-PROJEKT ’74 consists of a series of panels investigating the provenance of Manet’s asparagus still-life from the collection of the Wallraf-Richartz-Museum in Cologne, as well as the Nazi past of Hermann Josef Abs, a banker who was the then chairman of the museum’s board. Made for the exhibition Project ’74, the piece was twice censored: when Haacke was not allowed to show his work, Daniel Buren integrated copies of Haacke’s panels into his own project. They were quickly pasted over on behest of the museum director. 16. Walid Raad, ‘I Feel a Great Desire to Meet the Masses Once Again (Part 1)’, typescript, 2007. 17. In the late 1980s and early 1990s, Haacke made a number of small works mocking Appropration Art and its take on the Duchampian readymade. Particularly interesting is Baudrichard’s Ecstasy (1988), consisting of an ironing board with a bucket and a gilded urinal through which water is pumped to and from the bucket – a closed system. 18. These Things were ‘called forth’ by Kobe Matthys on 24 June 2010 at Casco, Office for Art, Design and Theory, in Utrecht. 19. W.J.T. Mitchell, What Do Pictures Want? The Lives and Loves of Images (Chicago and London: University of Chicago Press, 2005), 112. 20. Alfred Gell, Art and Agency: An Anthropological Theory (Oxford: Oxford University Press, 2008). 22. Kerstin Stakemeier, ‘Plane Destructive: The Recent Films of Hito Steyerl’, www.metamute.org. 23. Zachary Formwalt, Reading the Economist (Utrecht / Porto: Casco / Serralves, 2010), 16. 25. See www.ipetitions.com and the interview with Walid Raad at www.artinfo.com.